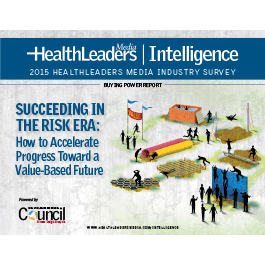 When and how will providers make the move to value-based care? Find out key investments toward progress. This report details the concerns providers have about shifting to value-based care, with financial uncertainty topping the list. Many have made vital steps forward, but few have progressed beyond pilot programs. Providing care in the future will require more collaboration, so it’s imperative to learn how to balance consolidation and narrow networks with broader access, including ambulatory/outpatient care. What are the top areas where healthcare leaders are investing their dollars in support of value-based care? What are the two most compelling reasons causing providers to double down on efforts to improve care transitions? What are the four reasons why growth in ambulatory and outpatient care is accelerating—and strategies to keep pace? Why are the need to change care delivery and the pending shift in healthcare’s financial foundation making physician-hospital alignment more critical than ever to reaching short-term financial targets? How can data analytics help providers meet clinical and financial performance targets?